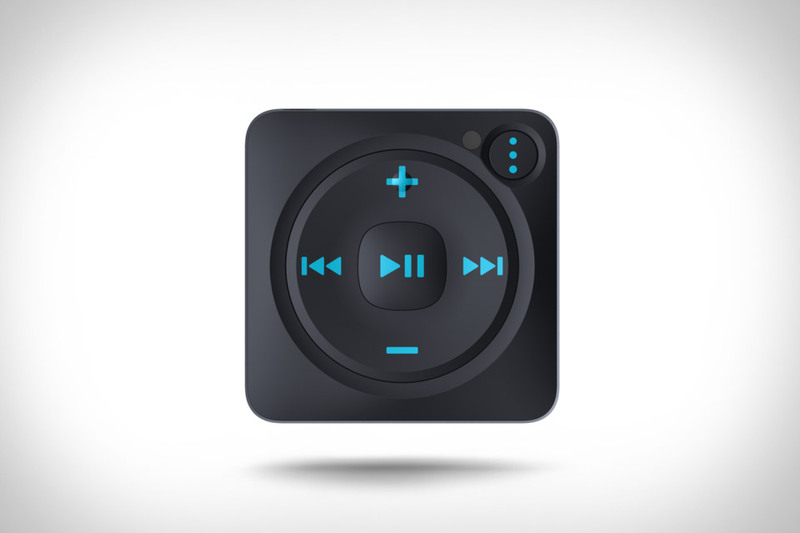 Like an iPod shuffle for streaming, the Mighty Spotify Player lets you enjoy your playlists without the need for a larger device. The small, square device clips easily onto clothing or accessories, and has both Wi-Fi and Bluetooth for syncing your music from Spotify and then streaming it to your headphones, no wires required. It's drop- and water-resistant, holds up to 1,000 songs, and since the songs are stored locally, there's don't need a signal to listen. Available in black, white, and orange. The first product in their 1100 series, the Boulder 1160 Stereo Amplifier has the unenviable task of following in the footsteps of the audiophile revered 1060. But it's up to the task, with better circuit layout and thermal management, providing for improved sound quality and less interference. Just like its predecessor, it can generate output power of up to 300 watts, which can push any set of loudspeakers to ideal levels. But the technological upgrades — including a more compact design and the ability to work with other networked devices in the home — help it truly stand out. Add in the machined front panel that depicts the topography of Flagstaff Mountain near Boulder, and you have what is certain to be another huge hit amongst audiophiles. Some people like new audio equipment. Some like vintage. The McIntosh MA9000 Integrated Amp looks vintage, but ensures it'll stay relevant way after it's hit "vintage" age. It has ten analog inputs, including two balanced and six unbalanced, as well as phono inputs for both MC and MM setups. The digital inputs — comprised of two coaxial, two optical, one USB, and one MCT — all sit on a single card that's easily replaced as new technology comes along. An eight-channel, 32-bit DAC keeps things sounding great no matter the source, and at 300 Watts per channel regardless of if your speakers are 2, 4, or 8 Ohm, it's the most powerful McIntosh ever built. The Porsche Design 911 Speaker doesn't just look like an exhaust pipe. It's built from one. Using the pipes from the 911 GT3 to output the sound and an aluminum housing to keep them perched in mid-air, this speaker is a tempting gadget for any auto lover. Bluetooth 4.0 with apt-X and 60 watts of power ensure high-quality sound, and 24 hours of battery life means that like the car it's built from, you won't need to leave it in one place. Available in Europe now, it will go on sale stateside in October. Born from an art-school design concept that went viral, the Transparent Speaker from Stockholm-based People People proves great sounding speakers don't have to come in oversized black boxes. Built of lasting materials like locally-sourced sapphire glass, and utilizing a design scheme that can be dismantled and maintained with an included simple wrench tool, this stunning speaker is a dream come true for audiophile DIYers everywhere. While previous iterations of the Transparent Speaker required the use of your own separate, external component to play tunes over Bluetooth, we're particularly pleased that they now come with a built-in Bluetooth adapter for usage from your phone or tablet. But don't worry, you're still given the option of the original modular setup allowing you to connect any audio source via USB or 3.5mm line-in, with line out capabilities as well. Hardware features include a 6.5-inch woofer, dual 3-inch full range drivers, an energy efficient, built-in amplifier with embedded digital signal processing, front panel treble, bass, and volume controls, and old-school power switch. Designed to be a do-it-all audio solution, the Seed Turntable combines wireless streaming with the joy of vinyl in a single package. It uses a patented shock absorber to keep vibrations at bay, which is important since the aluminum platter sits atop the speaker box. Inside is a belt-drive system and a 70W amp, as well as two 1" silk tweeters, two 4" subs, and electronics for both Wifi and Bluetooth streaming. The specs suggest the sound output should be impressive, but it also has RCA and optical outputs for connecting it to larger systems. Known for his intriguing retro-futuristic gaming and computer designs, Love Hulton is now bringing his talents to bear on the audio world. The Love Hulten Astovox Hi-Fi System hides its Pioneer-sourced 6.75-inch drivers inside handmade African Mahogany cubes finished with brushed aluminum front panels. They're powered by a 2x50W amplifier housed in a matching case, with simple tone controls to adjust the sound and both Bluetooth and 3.5mm inputs. Limited to just 100 signed and numbered units.